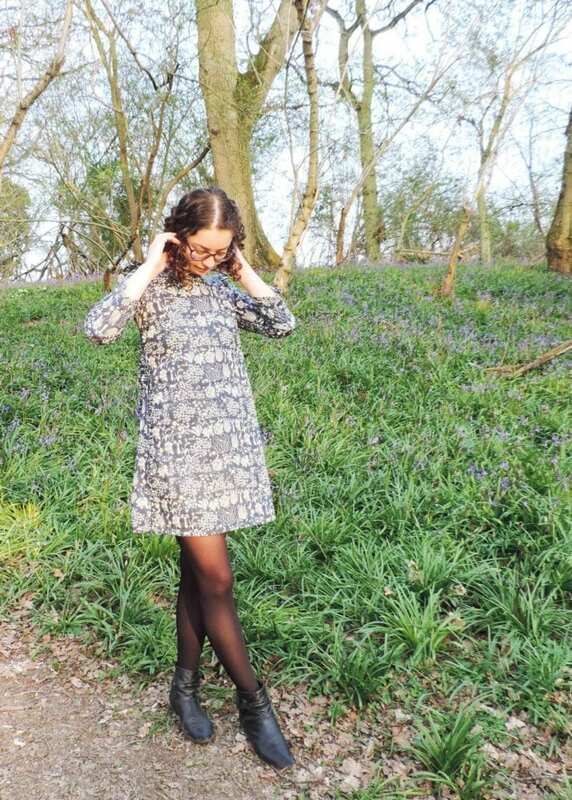 Laura has made a Liberty Ultimate Shift Dress using the Sew Over It pattern. 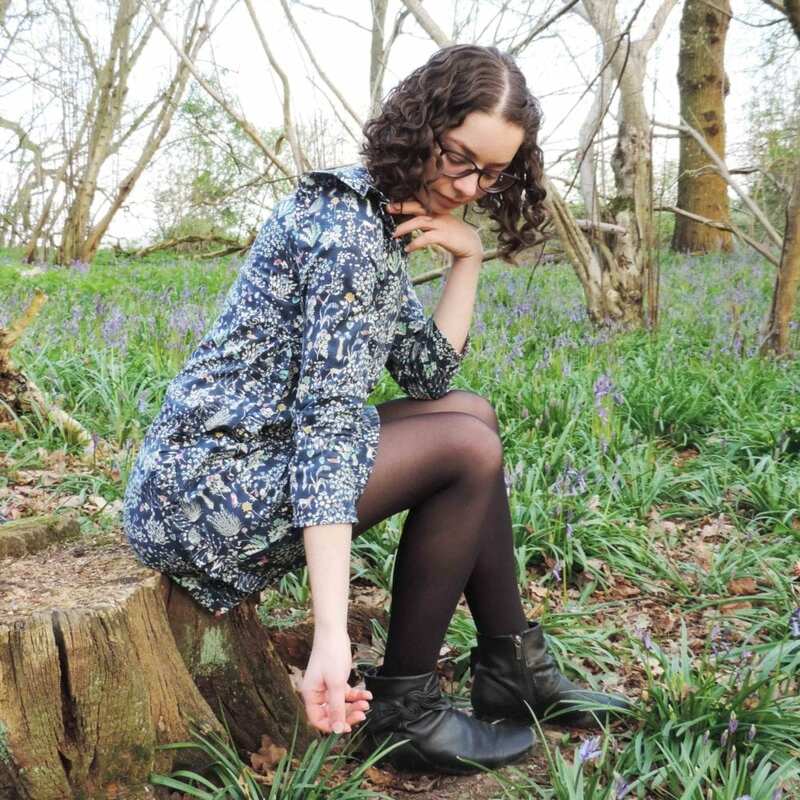 She has used a fabric that I really love – Yoshie – which is available in a few really pretty colour ways. The fabric is on sale at the moment too which is great news – makes it a little cheaper. I’ve been really excited about these Sew Over It patterns coming in. Lots of us are beavering away at making various clothes using them. 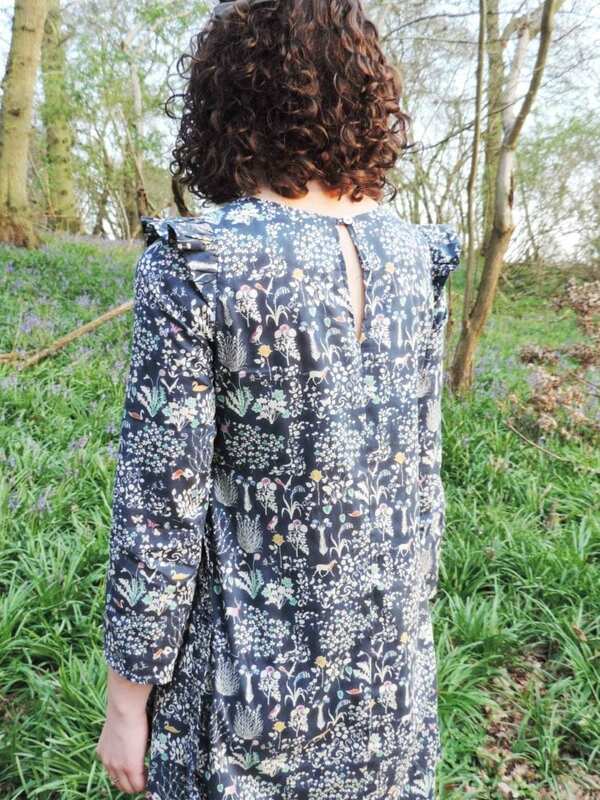 The pattern gives you the option of adding in a sleeve ruffle which Laura did add. You can see the detail below – it’s a really pretty addition to the dress. It’s bluebell season in the UK when lots of woodland walks take on extra loveliness as you stumble across carpets of beautiful blue flowers. 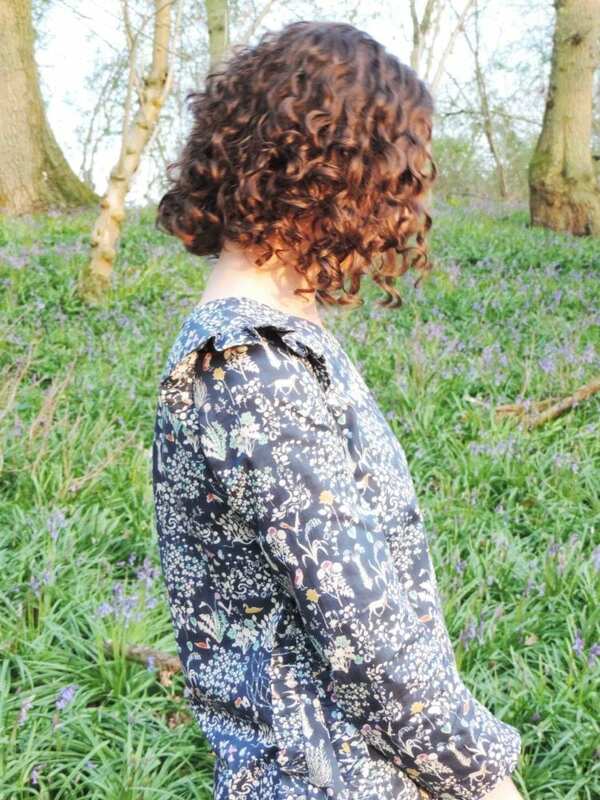 The back of the dress is also really lovely. 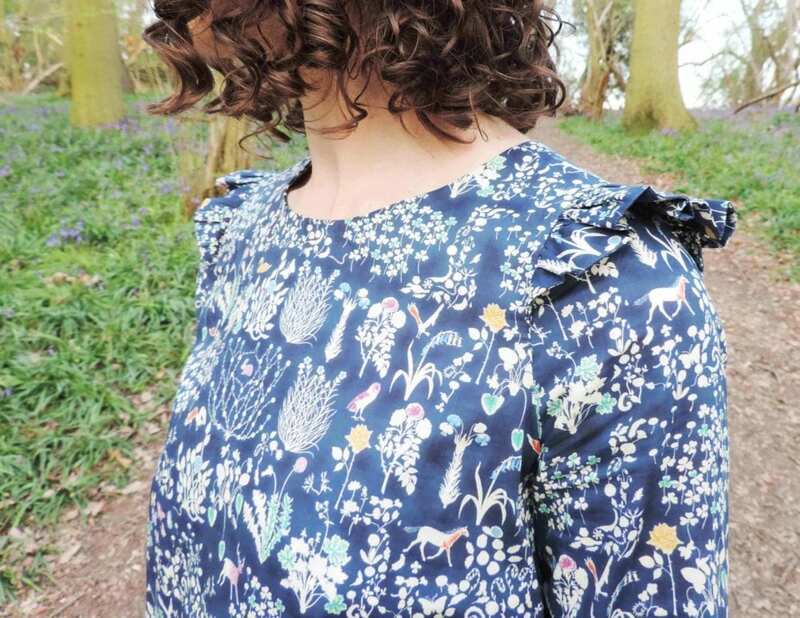 The open detail with the button at the top alongside the sleeve ruffles gives interesting detail. 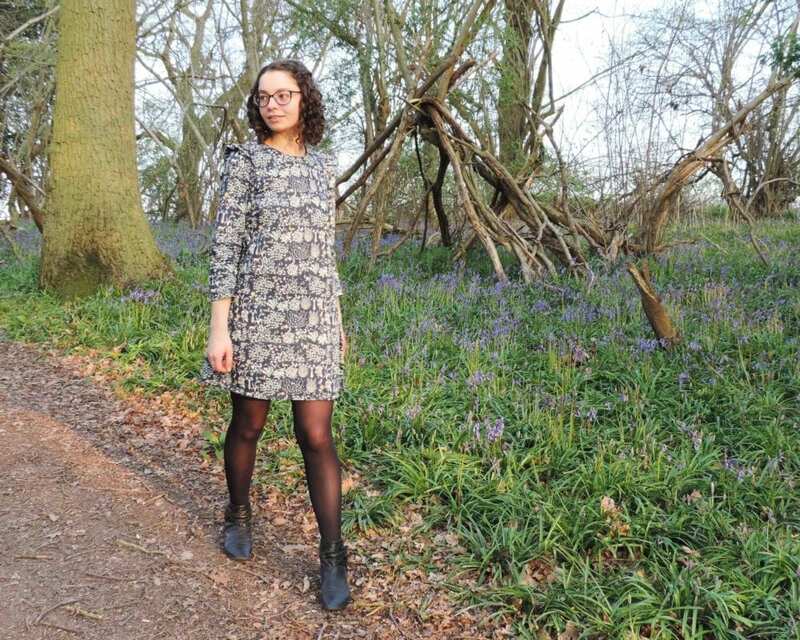 “I always like to make changes to dress patterns – can’t seem to leave a plain dress pattern be. So, I inserted a triangular panel to both side seams, narrow tip at the bust line and widest at the hemline which gave me a comfortable amount of wiggle room. I also added a short ruffle to either side of the triangle panels which match the short ruffles on the sleeves tying the dress design together. 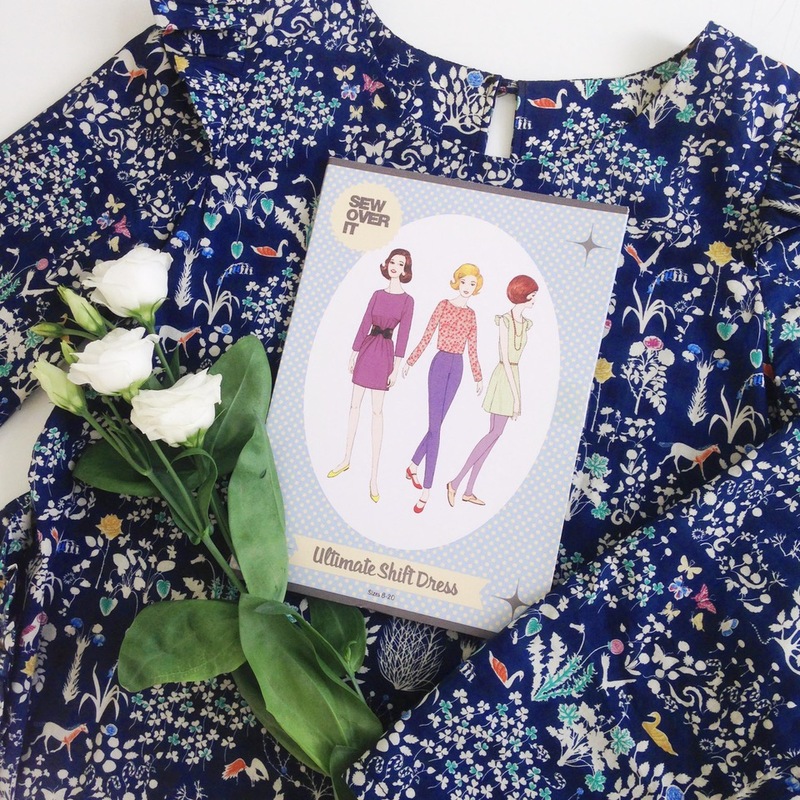 Alongside the Sew over It patterns, we’ve also launched the selling of Deer and Doe patterns.